Shriram Insight is the retail broking arm of the Shriram Group Chennai . 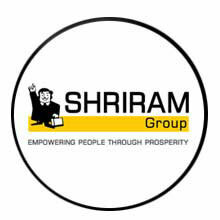 Founded in 1974 by Padma Bhusan Sri R. Thiagarajan , the Shriram Group currently serves around 9.3 million clients through its 2800 branches , over 70000 employees and 140000 agents with an AUM of over Rs 93000 crores. Shriram Insight is a focused brokerage firm in the retail space with a pan India presence. At present the company has a point of presence in around 700 centers covering 200 cities and towns mostly in the Tier II & III levels spread across the country . Currently the company has a client base of over 185,000 in broking and over 165000 in its depository business one of the leading broker in Eastern India both for NSE, BSE, as also a leading DP in CDSL. The Company offers a wide range of services, which include equities broking, derivatives broking, margin financing, commodities broking, depository services and distribution of financial products, to comprehensively service the investment needs of its retail clients. It has also recently embarked into the RTA business. Shriram Insight's top management team is totally hands-on and comprises highly motivated and experienced people. The key people are professionally qualified with degrees from the Premier Engineering, Management & Accounting Institutions of the country.